During class a student asked a question on the Ekegusii translation of a term in Matthew 3:7. In Ebiblia Enchenu [Kenyan Bible Society] the term ching'iti [singular: eng'iti] is used for vipers, ἐχιδνῶν. Agachia korora abanto abange ase Abafarisai na Abasadukai bakomochiera ase ebatiso, akabatebia, "Inwe oroiboro rwe ching'iti, ning'o obakureire ng'a motame korwa ase endamwamu egochi-gocha?" experience the word ching'iti [singular: eng'iti ] held the broader meaning of animals. He suggested that the word amang'erere [singular: ring'erere ] would be more accurate. It is important for teachers of the Gospel to be able to identify differences of word usage in communities were we work in order to be able to teach Scripture clearly and accurately. This highlights the significance of the issues surrounding translation in pastoral practice. When translating from the Biblical languages into our native languages we might find there is no direct equivalent word. Or, we may find a word in our native language that is really close, only to find that others fluent in our native language do not use the same definitions which we hold. What I present here is an example some ways to examine issues like this when they arise. The first thing we would desire to do is to establish the meaning of the term in the original language, which, in this case, the Koine Greek of the New Testament. The term used in this context is ἐχιδνῶν. We want to find out how this word is used in context. This word is used four other times in the New Testament: Here in Matthew 3:7 and also in Matthew 12:34; 23:33; Luke 3:7; and Acts 28:3. Inwe oroiboro rwe ching'iti, naki moranyare gokwana amaya, onye more ababe? Naki ebichire as'enkoro, nabio omonwa ogokwana. Inwe ching'iti, abana be rirubi, naki morakore motame ekina kie chaanam? Nabo akayetebia emeganda yachete erinde ebatiswe nere, Inwe oroiboro rwe ching'iti, ning'o obakureire gotama endamwamu egocha gocha? Then he said to the multitudes that came out to be baptized by him, “Brood of vipers! Who warned you to flee from the wrath to come? Paulo iga arenge gosangereria chinko, nakobeka igoro as'omorero, eng'iti egasoka as'engecho y'omorero oria, ekamwenarera as'okoboko kwaye. συστρέψαντος δὲ τοῦ Παύλου φρυγάνων τι πλῆθος καὶ ἐπιθέντος ἐπὶ τὴν πυράν, ἔχιδνα ἀπὸ τῆς θέρμης ἐξελθοῦσα καθῆψε τῆς χειρὸς αὐτοῦ. The first use of ἔχιδνα/ἐχιδνῶν is of John the Baptizer's preaching against the Pharisees and Sadducees. Luke 3:7 is a parallel record of the same or similar events recorded in Matthew 3:7. Luke records that John also preached these words also to the crowds that came to him. At issue in Matthew is the false teaching of these religious leaders and the false works they promote. In Luke the issue is false repentance and false works of the people who came to John. 1 Behold, the Lord’s hand is not shortened that it cannot save; Nor His ear heavy that it cannot hear. 2 But your iniquities have separated you from your God, and your sins have hidden His face from you, so that He will not hear. 3 For your hands are defiled with blood and your fingers with iniquity. Your lips have spoken lies. Your tongue has muttered perversity. 4 No one calls for justice, nor does any plead for truth. They trust in empty words and speak lies. They conceive evil and bring forth iniquity. 5 They hatch vipers’ eggs and weave the spider’s web. He who eats of their eggs dies. And from that which is crushed a viper breaks out. 6 Their webs will not become garments, nor will they cover themselves with their works. Their works are works of iniquity, and the act of violence is in their hands. 7 Their feet run to evil, and they make haste to shed innocent blood. Their thoughts are thoughts of iniquity. Wasting and destruction are in their paths. They have made themselves crooked paths. Whoever takes that way shall not know peace. John's preaching employs the term ἐχιδνῶν highlighting the both the source of the false teaching: the serpent in Eden [Genesis 3]; and to mark that their teaching is poisonous, deadly. One might raise the issue with the English translation of verse 5 at this point since vipers are called vipers because they give birth live [viviparous] and do not lay eggs. But that significance might be missing for many or most English speakers. The meaning is a deadly serpent. The second event is Jesus challenging the Pharisees about healing on the Sabbath. The challenge is directed to show the false teaching of the Pharisees who had promoted the idea that keeping the Sabbath excused a person from showing love toward his neighbor. Christ points out that the written Law of Moses even allows showing kindness toward animals on the Sabbath. Jesus continued to heal. Matthew states that this is Jesus fulfilling His promise made through Isaiah 42:1-4. A demon possessed man is brought to Jesus and the question is raised "Could this be the Son of David?" This is the initial claim of Matthew's Gospel from the opening verse and the narrative of Jesus incarnation and is the underlying thesis of Matthew's Gospel. The Pharisees accuse Jesus of being in league with Beelzebub. Jesus responds with His Stronger Man sermon and the Sin against the Holy Spirit drawing on Isaiah 63, particularly verses 7-10. It is at this point that Jesus speaks about the false teaching of the Pharisees trees bearing bad fruit and as a brood of vipers ἐχιδνῶν. The reference to vipers is contextually consistent with the structure and message of Isaiah 59, particularly verses 4-5. The point of the comparison is between the deadly nature of the serpent or viper's venom and the deadly nature of the Pharisees' teaching. This chapter records Jesus' Holy Week sermon against the Pharisees. In this He uses a wealth of imagery and language from Isaiah. Of particular note here is that this particular sermon of Woes parallels the Woes pronounced in Isaiah. To the point of our study the substance of Jesus sermon is the same as that of Isaiah 59. But here there are two references to snakes. The first is with ὄφεις the second with ἐχιδνῶν. His use of the term ἐχιδνῶν in verse 33 is contextually the same as the use of viper in Isaiah 59. The term is intended to show the deadly nature of the teaching and works of the the religious leaders/Pharisees. The final example is in the closing chapter of Acts (28:3). The term ἔχιδνα is used to refer to a venomous snake that bit Paul on the island of Malta. The residents of the island are astounded that Paul does not die. In each of the cases where ἔχιδνα is used in the Koine Greek of the New Testament the animal in question is a serpent. The distinguishing feature of this particular serpent from others is not a specific breed, but that the serpent carries venom which can kill the person whom it bites. A second direction is to look at established and documented usage of words in our native languages. The English to Ekegusii section of the AED list several Ekegusii glosses for snake (pages 1269-70). In the following discussion we use this list as well as the definitions of these words in the main dictionary (shown at the end of this presentation). We are looking for a word or words in Ekegusii which, if possible, are used to emphasize two significant semantic components: 1) the animal is a snake, 2) this particular snake bites with deadly venom. ekeuge is a small, bearded venomous snake that makes a cat-like sound. enchoka is a black or green mamba. enyaronyansi is the green mamba. orwerwe is a mamba style venomous snake that attacks without provocation. rinyamoutoki is the puff adder. rirubi refers to a cobra or the Indian spitting-cobra. The python, ebaweti, is not venomous, even if it may be somewhat dangerous or even deadly to children or the infirm. 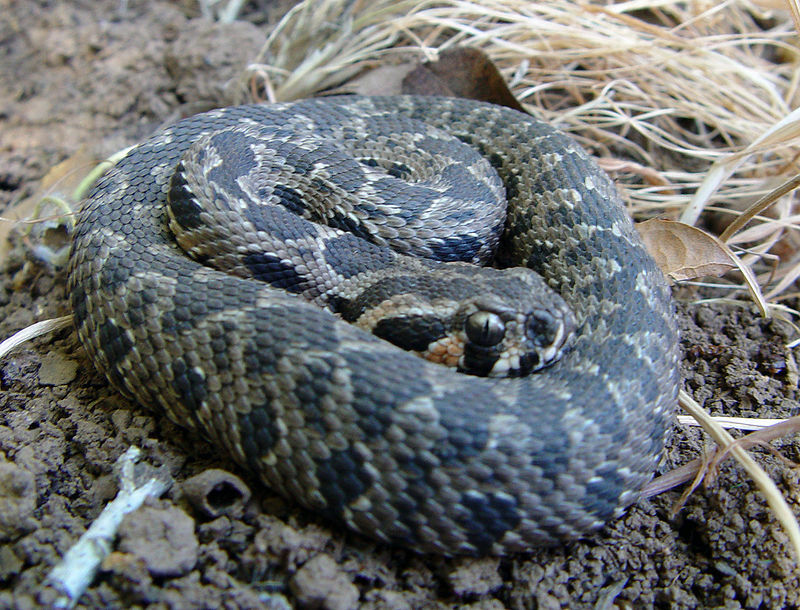 The other terms here refer to specific kinds of venomous snakes. So these may work as examples but not as a class, but we hope to see if there is a word that is a bit more general containing just the 2 semantic components listed above. One entry refers to a unique feature that is irrelevant to the use of ἔχιδνα in the New Testament. ekeromerambebakabere refers to a two-headed snake, one head at each end. eng'endanse a snake, often venomous. eng'iti 1. any animal. 2. snake, often venomous. engendanse a snake, reptile without legs. ring'erere a snake with small head and large tail. Among these four more general terms the AED lists two terms that refer to snakes generally whether or not they are venomous [engendanse, ring'erere]. And there are two that include a non-essential tendency toward being deadly [eng'endanse, and eng'iti ]. But the last term eng'iti is also used generically of any animal. Within the AED there are several words for snake which carry the essential component of deadly or venomous of ἔχιδνα but these words are overly specific regarding species. And among the general terms for snake in AED none carry the component or deadly or venomous as essential aspects. The AED does not describe which terms are in more common use in contrast to which are more obscure. The closest match from the definitions given in AED would be eng'endanse. Two of the words at issue in our Seminary discussion were ching'iti, the plural of eng'iti as used in the text of Ebiblia Enchenu, and ring'erere, plural amang'erere as suggested by the Seminarians based on their own experience and intuition as native speakers. For the Seminarians the word ching'iti did not signify a snake nor did it imply notion of venomous. Their signification for eng'iti fits with the first definition given in AED but not the second. For the Seminarians the word ring'erere signified not only a snake, but that the word refers to a snake that is typically venomous. This is a difference between the linguistic experience of the Seminarians in their region and those of the translators of Ebiblia Enchenu and the researchers of the AED. Abagusii history describes the division of the Abagusii people into seven different clans from which one could expect a degree of dialectical variation. (see here) In more recent decades the Abagusii have grown to a population passing 2.5 million. Abagusii population also exhibits increasing distinction between urban centers and the rural areas, even though fairly localized on the eastern side of Lake Victoria. These regions also exhibit distinctions in accent and dialect. Third, we can become more aware of the translation habits and styles used by the translators of our native language Bibles. In this passage ching'iti is used for ὄφεις serpents, and rirubi is used for ἐχιδνῶν vipers. This is interesting, because according to the AED the word rirubi refers to the Indian Spitting Cobra. And while this particular species is obviously not meant in the Greek, the characteristics of the rirubi fit the context well. enchoka is used in Revelation 12, 13, 16:13 and 20:2 to translate δράκων. In Revelation 20:2b enchoka is also used to translate ὄφις serpent. In these contexts the terms δράκων and ὄφις refer to Satan. Ebiblia Enchenu uses the term eng'iti/ching'iti with great flexibility. The term is used in Ebiblia Enchenu 62 times. It appears to be the default translation for serpents. For example ching'iti is used in Romans 3:13 for ἀσπίδων asps; and in 2 Cor 11:3 eng'iti used for ὄφις Serpent where it also refers contextually for Satan. However eng'iti/ching'iti is also used to refer to animals in general. Nkarora agwo ekero Emanwa y'Eng'ondi egachia koigora ekemo ase biria ebimanyererio, nkaigwa eyemo ase chiria ching'iti chire moyo ekobora, buna eriogi ri'okogukura, Nchuo, orore. Καὶ εἶδον ὅτε ἤνοιξεν τὸ ἀρνίον μίαν ἐκ τῶν ἑπτὰ σφραγίδων, καὶ ἤκουσα ἑνὸς ἐκ τῶν τεσσάρων ζῴων λέγοντος ὡς φωνῇ βροντῆς· Ἔρχου καὶ ἴδε. We can see the flexibility of meaning for eng'iti/ching'iti in Revelation 11:7 where the word is used with reference to the beast from the pit. Ekero barakore oborori bwabo, eria eng'iti ekorua as'eora nekore esegi nabarabwo, nere nababue nakobaita. Καὶ ὅταν τελέσωσιν τὴν μαρτυρίαν αὐτῶν, τὸ θηρίον τὸ ἀναβαῖνον ἐκ τῆς ἀβύσσου ποιήσει μετ’ αὐτῶν πόλεμον καὶ νικήσει αὐτοὺς καὶ ἀποκτενεῖ αὐτούς. As we saw just above the word was also used to translate θηρίον in Hebrews 11:20. And this may help demonstrate that for the translators of Ebiblia Enchenu the term eng'iti/ching'iti does not carry any necessary implication that the animal signified must be a snake and must be venomous. Given this breadth of use within Ebiblia Enchenu, a native speaker might be expected to express surprise at the realization that Matthew 3:7 referred particularly to venomous snakes. For the Confessional Lutheran Pastors and Evangelists of the Abagusii there may not be opportunity to examine resources every time an issue like this arises. The issues of vocabulary might be minimal at times. At other times they might be very significant. It is important to have an awareness of your own language use and how it might differ from those around you. And be aware that the translators of Ebiblia Enchenu may have had experience with forms in Ekegusii that differ in some ways from the experience of other native speakers in different areas. Similarly, the authors of the Authoritative Ekegusii Dictionary did significant survey research to present a wide representation of Ekegusii usage. But they cannot have been able to get every tradition. And their volume suffers the same problems as any other dictionary: the change of the language through time and the affects of urbanization, cultural change, etc. As to the substitution or use of the term ring'erere in place of ching'iti in Matthew 3:7, this is where native speakers can use their judgment and provide opportunity to teach their hearers more accurately using the clearest expressions they know. I have included citations from The Authoritative Ekegusii Dictionary: Endabaro Endabasia Y'Ekegusii, First Edition, K.M. Bosire and G.K. Machogu, Ekegusii Encyclopedia Project, Republic of Kenya, 2009. Abbreviated AED. ebasweti [ebasweti] n. python; huge snake that kills by crushing its prey. Pl: chibasweti. Note: considered a taboo or bad omen to come into its sight or contact; the victim will have to be cleansed through an elaborate cleansing ritual. ekeromerambebakabere [ekeromerambebakabere] n. a type of snake thought to have two a heads (head for a tail): Pl: ebiromarambebakaberere. ekeuge [ekeuge.] adj. a type of bearded short snake with lethal poison and which makes sound like a cat. Pl: ebiuge. enchoka [e.ncho.ka] 1. n. black/green mamba; a poisonous African snake: 2. n. Satan; devil. Pl: chinchoka. eng'endanse [e.ng'e.ndanse] n. snake; an animal with a long thin body and no legs, that often has a poisonous bite: Pl: ching'endanse. engendanse [e.nge.ndanse] n. snake; a reptile with a very long thin body and no legs. Syn: eng'iti. Pl: chingendanse. enyaronyansi [enyaronyansi] n. green mamba; a posonous green African snake: Pl: chinyaronsi. ring'erere [ring'erere] n. a type of snake with a small head and big trunk or tail: Pl: amang'erere. rirubi [rirubi] n. snake, spitting or Indian cobra: Pl: amarubi. Note: African or Asian snake that can spread the skin of its neck to make itself look bigger.